Thumbnail image: Pashaura Singh of University of California, Riverside. 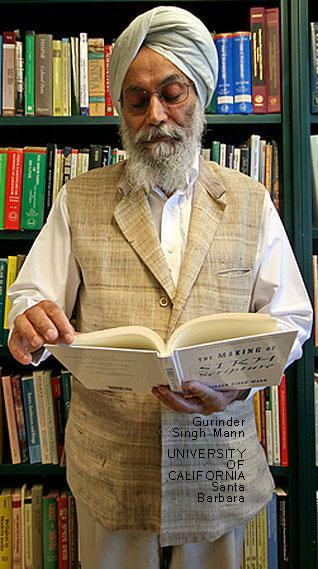 On June 18-19, 2009, the Maryland-based Kaur Foundation collaborated with the Library of Congress in Washington, DC to launch the Sikh Collection Initiative, a permanent resource installed in this prestigious and venerable institution. This project was introduced through a presentation of lectures, manuscripts, books and art - all very valuable in studying and understanding a people. Headlined "Taking Heritage into the 21st Century," the two-day conference comprised a series of talks and panel discussions featuring some of the more notable entrepreneurs, scholars and young newsmakers from within the Sikh and surrounding communities. I am not providing details of the very rich program here; perhaps someone from the Kaur Foundation will. The whole affair was staged at the Library of Congress, and one could not have imagined a better locale. I was invited to participate in a discussion on "The Importance of Establishing Sikh Chairs at Universities." The panelists were Gurinder Singh Mann (University of California, Santa Barbara), Paul Taylor (Smithsonian Institute), Ajeet Caur (writer) and I. But I was returning from a badly needed vacation and got back home only the day before I was scheduled to be in Washington DC for the soiree. That wasn't going to stop me, but I got sick, and my cardiologist advised that I skip the trip and stay home for some serious testing. So, I missed the whole thing, including my own part in the program. And this gives me the opportunity to start a conversation with our readers on "What I would have said in the panel on Sikh Chairs had I been able to attend." The man behind the impetus for Sikh chairs remains Dr. Narinder Singh Kapany. Readers of sikhchic.com, I am sure, are no strangers to the controversy hovering around Sikh studies programs in this country. Some are not comfortable with the idea of endowed Sikh Chairs bestowed on scholars who are still in the early stages of their academic careers. In 1996, Dr. Hakam Singh and I jointly authored a paper exploring alternative models for programs of Sikh studies. Others critics of the chairs seem particularly incensed about specific holders of such chairs, and they cite various reasons for their opinions. At this point, I am not going to delve into specific allegations that have been floating about. The fact is that now we have several academic programs in place. At the outset, it is necessary to recognize that irrespective of who funds a program, it is the university's prerogative and duty to determine that the appointment and the program hew to university standards and policies. This is not a matter in which the donor and the community have a voice - nor should they. I want to focus on some unresolved larger issues instead. My comments have little to do with the quality of the academic research per se, but present issues that we have not debated so far. They could help us strengthen existing programs and get a bigger bang for the buck. And that is what I wish to explore with you. I repeat: my purpose here is to strengthen the existing programs, not to diminish them. My credentials are that I come to you from a lifetime in academia, albeit in a very different field than the one we discuss today. It has been obvious from the very onset of these academic programs that a progressively widening gap has opened between the scholars who run these programs and the Sikh community in this continent. The scholars rightly feel underappreciated, sometimes even abused, and that is indeed unhealthy and undesirable. But equally undeniable is the reality that the community feels diminished and dismissed as of no significance and irrelevant by the scholars. Their critics say that our academic scholars appear to be writing largely for each other in the academic community. Of course, they have the right to do so, if they so wish. I know I have made several loaded statements here. Let me come at them somewhat tangentially. 1. First they write for the very few fellow scholars that work in the same exact narrow specialty of research. This kind of work is published in rigorously peer-reviewed journals, and is of interest to only a handful - ranging from perhaps fewer than a hundred to twice as many across the globe. These few will pore over the details of the techniques, results and inferences with microscopic precision and exactitude, and parse such matters with passion. 2 . Then, sometimes scholars give lectures or write for a larger audience of academicians than the few who are in their subspecialty. For example, one may write a review article or lecture to a larger audience of academicians that is drawn from the broad spectrum of scholars who may not be involved in the nuts and bolts of a particular research topic. Here the scientists will present many of their findings and the possible caveats in interpretation, but leave out the technical intricacies unless challenged. 3. It takes a special scientist and a very different mindset to summarize one's research for an audience of educated lay people as one would find in the readers of Scientific American. The emphasis is not on technical detail, not even on the fine nuances of the results, but on the larger interpretation and its meaning for society. The language and style are meant to be intelligible to the broadly educated lay person. It seems to me that our Sikh academicians are still in the stage where they largely prefer the first category of communication, with limited forays into the second. The third category is seemingly neglected. This, too, is their right and possibly results from their limited experience and relative youth, but it should not be ignored. It needs to be augmented. Rare is the person from the first category who can span the gap and present his esoteric research to the average reader so that it makes sense. When one can and does, society dubs him or her a public intellectual. How do we define public intellectuals? It is those who, in addition to distinction in their own field, show an ability to stitch together and communicate widely divergent ideas. Thus public intellectuals influence the nature, quality and diversity of public debate. Public intellectuals are not derided for writing for the layman. They are not accused of cheapening their specialty, but are honored for broadening the reach of their ideas and promoting what often amounts to a national conversation in an area of wider interest. Among the few that have earned the honour, I list Carl Sagan, James Watson and Francis Crick, Stephen Hawking, even Bertrand Russell, Margaret Meade, Linus Pauling, Noam Chomsky, Milton Friedman, Konrad Lorenz, Teilhard de Chardin, Paul Tillich, Daniel Patrick Moynihan and George Will. They are in the tradition of Socrates, Aristotle, Plato, and Spinoza, even Will Durant and S. Radhakrishnan. George Bush might lack such a frame of mind, but Bill Clinton and Barack Obama seem to have the makings of one. Of course, there are many more. Sikhs, too, have produced some - Bhai Vir Singh, Puran Singh, Kapur Singh, Saran Singh and Jaswant Singh Neki come to mind - largely non-academics, but never non-intellectual; in fact, they are public intellectuals. Bhai Gurdas may have been the first Sikh - not a Guru - that I would honor with the title. Perhaps to the non-religious mind, religious prophets - Buddha, Nanak, Jesus and their kind - they, too, appear as public intellectuals. Something like this is what I expect the scholars of Sikh studies to strive for. This would be a sure-fire way to reduce the tension between them and the Sikh community. It would also carry our people forward into the wider world of ideas and intellect. Heaven knows we need some such public intellectuals. Every progressive society produces some. It seems that our Sikh scholars have conducted challenging research in early Sikh history and in the formation of the Sikh scripture. Let it also be said that undoubtedly these topics are germane, and the research efforts laudable. That is not at all my issue today. Nevertheless, in a community that has existed in this country for over a century, matters arise that impact our existence and survival everyday. I offer you two examples: the "Right to Turban" case in France, as well as our ability to serve in the U.S. armed services as recognizable Sikhs. In addition there have been numerous cases of hate and bias crimes - some violent, many that are examples of simple harassment - particularly in post-9/11 America. Who should speak for Sikhs in these matters or when "expert witnesses" are needed in the courts? When a few years ago, Professor Spellman raised doubt on the Sikh requirements of long unshorn hair and turbans, who should have joined the discussion on behalf of the Sikhs? I would think it is obligatory for scholars of Sikhism to undertake the task of speaking for Sikh practices. If they are to write about Sikhs and Sikhism, they need to keep their finger on the pulse of the community. If they do not, their scholarship loses relevance, while the burden falls unnecessarily on the amateurs in the community to respond to contemporary issues. This results in many a false step and many contradictory voices that hurt rather than help us. All academic institutions value teaching, research and community service in their faculty. This third leg of the stool is vital to the stool; else it is headed for a crash. I illustrate by a personal note here. I will retire from academia in a few months. Just days ago, the university approved my appointment as professor emeritus. This is an honor, not a title that every retiring academician is automatically entitled to. In approving my appointment, New York University considered my decades-long record of academic teaching, research and administrative service, but it also took formal note of my writings and lectures on Sikhs and Sikhism, as indicative of broader community service. A. Research Fellowships: Remember Donald Rumsfeld, the former Secretary of Defense? What is he doing now? He is a research fellow at the Hoover Institute, a conservative think-tank, at Stanford University. He may lack the academic credentials for a professorial appointment, but his experience puts him in a unique position to conduct research, write papers and books, and lead seminars and symposia on matters in which he has distinctive experience. (We can all disagree on the quality of his experience.) Similarly, Kofi Annan, the former Secretary-General of the United Nations, will join Columbia University in Fall 2009 as a global research scholar. This is how non-academic lay voices and academicians interact with and influence each other. Then these two do not stay isolated from each other; instead, by their interaction they enrich each other and the society. It is important that academic and lay voices do not remain secluded from each other. This approach is exactly what we Sikhs also need to pursue in Sikh studies programs. B. Research Support: We now have several scholars in place in academia in chairs endowed by generous benefactors. That's great. But, in order to succeed, they will need ongoing financial support for research - for research assistants, travel, publication costs, research expenses, development of teaching programs and conferences, etc. I would recommend that we evolve a system somewhat like the National Institutes of Health (NIH) that supports much of the biomedical research in this country. Investigators submit grant applications requesting financial support. Sometimes they are solicited by the NIH to apply on a particular topic, such as basic research in AIDS, cancer or diabetes. Other times investigators submit unsolicited grant applications in topics that interest them. Applications are reviewed by specially constructed panels of scholars. If approved for funding, the budget and the period (years) of support are negotiated. Investigators submit a progress report every year and renewal depends on a satisfactory report. This way, it does not matter where the scientist was trained or where he is based; only whether his project, methodology, and track record merit support. Many other private foundations follow similar models to identify and support research. Clearly, the supporting foundation then controls the topic and purpose of research; thus accountability and transparency are assured. After all, these are tax dollars. Is there any reason why we cannot create such a mechanism with greater community involvement? My idea here is to explore the ways our trained scholars carry the community forward with them in their journey. The Sikhs are a living community. Our scholars and our community need to work with each other, not at cross-purposes. 1: Arvinder Uppal (Clarksville, Maryland, U.S.A.), July 06, 2009, 12:49 PM. Dr I.J. Singh, your discussion here is wonderful. I was looking forward to listening to you at the Library of Congress. I was hoping you would discuss the gamut of aspects re the present Sikh Chairs. As you are aware, it takes a considerable amount of resources, but chiefly money, to establish these Chairs. So what does the Sikh community get for establishing a Chair? It is wonderful if we could have an intellectual who can comment and guide the U.S. lawmakers as we bring up considerable issues in front of the lawmakers regarding our articles of faith and even as basic as who is considered a Sikh. I for one would like Sikh Chairs to reach out to a broader audience in disseminating the message of Guru Granth Sahib. 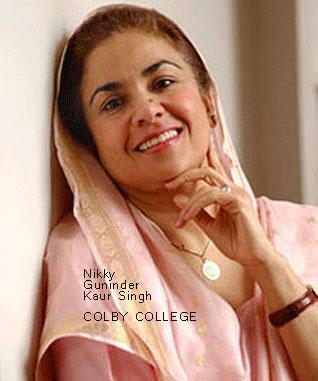 I liked what Dr Nikki Guninder Kaur Singh is doing and also liked Dr. Gurinder Singh Mann's presentation. He is making a difference by bringing into Sikh studies students whose ethnic origin is not from the land of Punjab or its descendants. These people are making a difference in spreading Guru Nanak's message. 2: Irvinder Singh Babra (Canada), July 06, 2009, 2:06 PM. I often wonder how many have learned from our trained scholars in the last 20 years. Many of them are not even allowed to speak at the gurdwaras, their expertise, views/comments are not wanted, and they make just little or no impact at all. Their works and books are not read, well sold or even marketed en masse, unlike Khushwant Singh, who at 96, tops everybody when it comes to the Sikh religion, history, understanding and proliferation. Sikhs and Sikh Studies in the 21st century have evolved greatly. But our towers of learning - from Guru Nanak Dev University in Amritsar to the Sikh Chairs or Departments in the universities in Canada and U.S.A. are cash-starved, riddled in controversies and appeal to a few within our own communities. Sikhs are not at risk, in any form, shape or identity. It's the ivory towers in crises. This can and should be corrected. 3: Amardeep (U.S.A.), July 06, 2009, 6:55 PM. Great ideas. For example, when the news media need an expert opinion on any topic, they seek the experts in the field. On a disease outbreak they seek the CDC, for the latest medical research, they seek a physician in a top university hospital. Similarly, our Sikh Chairs should be that active and real (not a dead log behind the scenes) so that the media could benefit from their knowledge. Yes, as it happens in any research circle, one needs to be interactive with the source of funding. 4: Aryeh Leib (Israel), July 07, 2009, 6:53 AM. 5: Chintan Singh (San Jose, California, U.S.A.), July 07, 2009, 10:27 AM. This approach of establishing Research Fellowships either in parallel or instead of permanent Sikh Chairs was suggested about eight years ago to me by Dr. Ranbir Singh Sandhu, Professor Emeritus at Ohio State University and author of "Struggle for Justice, Speeches of Sant Jarnail Singh Bhindranwale". However, I have discussed this idea with a few avid Chair donors including Dr. Narinder Singh Kapany. Their response: you can get a bigger bang for the buck with a permanent Chair since it's a one time investment for a perpetual Chair, while in the case of fellowships you have to fund them year after year with only partial results achieved. I personally like a combination of both, i.e., the heavy-weight donors can keep continuing to work on creating permanent Chairs and the larger community can donate to support short term Fellowships within an established Chair or outside of it. However the larger issue is how do we convince our Chair holders to come out of their campuses and write /present something which connects them to the very community that has helped fund them, and also help non-Sikhs understand Sikhs and Sikhism better. I guess step 1 is to create more professorships and chairs - we first need to sow the seeds before expecting fruit from them. And yes, I love the idea of Dr. I.J. Singh starting a new career as a fellow or professor in Sikh Studies! 6: I.J. Singh (New York, U.S.A.), July 08, 2009, 4:57 AM. Friends, you are so kind and generous. But I need to tell you that though my designation as Professor Emeritus was approved some days ago, it takes effect September 1 when the new academic year starts. I am not yet retired. Until August 31, 2009, I remain a Professor of Anatomy on active service. Thank you. 7: Ravinder Singh Taneja (Westerville, Ohio, U.S.A.), July 08, 2009, 5:33 AM. I would include the author in that list of Sikh public intellectuals. To me, the role of a public intellectual is highly important. It does me no good to have someone ensconced in an ivory tower. But, in all fairness to Sikh academics, they are, as Dr. Singh points out, relatively young and new to the game. Give them some time - and support. The idea of a National Sikh Resource Center has been talked about and one that should be vigorously pursued by the community. This will provide a home - and a forum - for Sikh intellectuals to do their work. In the end, a public intellectual must challenge the status quo, not simply by writing (or speaking) but by active engagement within the societies they live in, even at the risk of persecution. Bertrand Russell, for instance, is one who paid quite dearly for his beliefs and convictions. 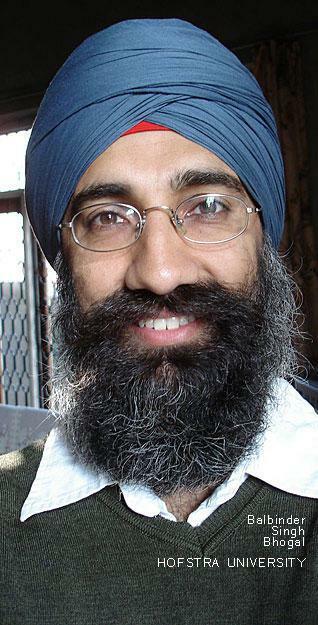 8: Gurjender Singh (Maryland, U.S.A.), July 08, 2009, 12:41 PM. Dr. I.J. Singh has made very good points in his column. I wish him good health so that he can continue to provide the right approach. I have the following comments in line with his: First of all, research and university Chairs must provide awareness of turbans of Sikhs, if we continue to attending the gurudwaras for the purpose of eating langar and socializing. Otherwise, these Chairs will be just employment opportunities for highly educated Sikhs. These persons holding these Chairs should be invited to the gurdwara regularly to speak to the young generations who have never seen Punjab. Most of the current speakers talk in Punjabi, which is increasingly out of reach for many of our young. The speakers should not preach that one cannot be a Sikh without learning the Punjabi language. Punjabi is important to learn if one has means to learn. Look at most of the 3HO Sikhs who do not know Punjabi very well but their foundation is nevertheless strong. Also, Sikhs without turbans is just like an army without a proper dress code. Today, Sikhs do not have any leader to defend the turban forcefully. When someone asks, the reply comes that 'be modern and realistic'. There may not be much issue with the turban for the doctors or professionals Sikhs. But there are very serious issues (specifically, discrimination) with turbans in schools, colleges and employment around the world including India. We can spend million dollars on gurdwaras, decorations, processions and kirtan durbars, without the basic teaching about the turban and unshorn hair. In the year 2008, Sikhs celebrated the 400th anniversary of Guru Gaddi Divas of the Guru Granth. Nagar Kirtan (processions) were held in all states of India and around the world. But it was shocking to see how the Sikh leadership failed to provide the message of Guru Granth Sahib to others. Based on my personal experience while visiting in India, most of the public said this time the procession was on a bigger scale and Sikhs distributed unparalleled amount of sweets and free kitchen to all. The same is true for most of the cities of U.S.A. This is an example that we spent millions of dollars in celebration without explaining the reason. Sikh families are relaying that their children will be turbaned-Sikhs just for attending the gurdwara once a week for a few hours. Already young generations are removing their turbans and even more than 60% are getting into marriage with non-Sikhs. There is no harm in marrying a non-Sikh, if one's foundation is strong in Sikhi. There is the old saying: "No pain, no gain!" 9: Jagpal Singh Tiwana (Dartmouth, Nova Scotia, Canada), July 09, 2009, 6:07 AM. First of all, heartiest congratulations to Dr. I.J. Singh ji on his appointment as Professor Emeritus, which he richly deserves. This is the highest honor that can be conferred by a university on its retiring professors. Now, after his retirement, hopefully he has free time to give us more books and articles. I always enjoy his write-ups as he covers all aspects of the subject quite objectively. Here are my two cents on the current subject: Re: "Sikhs too, have produced some - Bhai Vir Singh, Puran Singh, Kapur Singh, Saran Singh and Jaswant Singh Neki come to mind - largely non-academics ..." No doubt, they were or are public intellectuals, (though, on the Dasam Granth, their views are now challenged), yet the problem starts when many others who lack proper qualifications in the field start acting as public intellectuals. This is an age of specialization. IMHO people should have proper qualifications and do research according to the methodology of the discipline. And methodologies of social sciences differ from those used in physical sciences. // Re Scholars - Community Gap "It has been obvious from the very onset of these academic programs that a progressively widening gap has opened between the scholars who run these programs and the Sikh community in this continent." It is only a section of the Sikh community consisting of civil servants, medical doctors, army officers, whose works appeal to the gurdwara audience, that are worked up against research on Sikhism in Western universities. Most of the Sikhs do not oppose the Chairs on Sikh studies. Dr. Hew McLeod, who is often a target of this very section, has nothing but praise from the Sikh community in general. Here is what the Sikh community of New Zealand says about him: "The New Zealand Punjabi community is indebted to Prof. Hew McLeod for his research and works concerning the early Punjabi history in New Zealand. The community takes this opportunity to thank him for preserving Punjabi history and the following pages would not have been possible without his work." [http://www.sikhs.co.nz/nzhistory/] // Similarly, historians and public intellectuals of the calibre of Ganda Singh, Harbans Singh, J.S. Grewal, Noel King, Khushwant Singh, Jaswant Singh Neki, Roopinder Singh (Tribune), T. Sher Singh, to mention a few, hold him in high esteem. The (Sikh) Centennial Foundation of Toronto recognized his contribution in 2007 and honoured him with their annual Seva Award. It will be quite interesting if a comparison is made between the work done in Sikh Chairs in American universities with that produced in Punjab's and Indian universities. 10: I.J. Singh (New York, U.S.A.), July 14, 2009, 5:12 AM. Jagpal raises some interesting matters that deserve a fuller debate, but let me respond briefly at this time. Public intellectuals, to my mind, bridge the gap between the specialized and the public spheres. Views of public intellectuals are often challenged by others, much as those of "scholars" are - even in their own areas of specialization. Questioning and debate does not lessen the scholar or the public intellectual; how he/she deals with it certainly does. Jagpal says "it is only a section of the Sikh community consisting of civil servants, medical doctors, army officers, whose works appeal to the gurdwara audience, that are worked up against research on Sikhism in Western universities." One, I am not writing to oppose the chairs or their research and I make that point as clearly as I can in the text. Two, the statement by Jagpal reflects a mindset that I do reject. His statement implies that non-specialists (lay people) have no right or reason to speak on such matters. This would then automatically exclude not only Jagpal and I, but perhaps writers like Jaswant Singh Neki, T. Sher Singh, Harbans lal or Saran Singh and Puran Singh as well, for none of them have specific academic qualifications in Sikh Studies. If this is true, then it will shut up all those who have written on this topic here, as I said, including both of us. There is no criticism or comment on Hew McLeod here in my essay; a lot of his work I admire, and some of it I disagree with, but that is not the issue here. I restate - my purpose here was to bridge the gap between "scholars" and "lay Sikhs". That is what public intellectuals do. I am more familiar with the North American scene, so that's what I write about. A comparison with what Indian scholars produce would make an interesting topic but that is not germane to my issue today. Public intellectuals have a very important role in a progressive society. They keep scholars connected to the larger society in which they live and function.